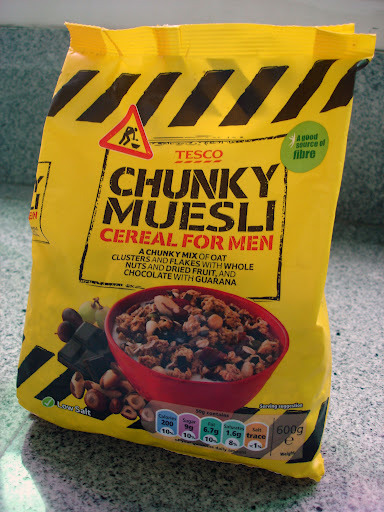 My husband bought several bags of this chunky muesli. He eats this almost everyday for breakfast and he just loves it. What’s in it: toasted oat clusters, wholegrain oat flakes, toasted wheat flakes, sultanas, chocolate chips with guarana, brazil nut, hazel nut, flame raisins, pumpkin seeds, cranberries, pecan nuts, and blueberries. 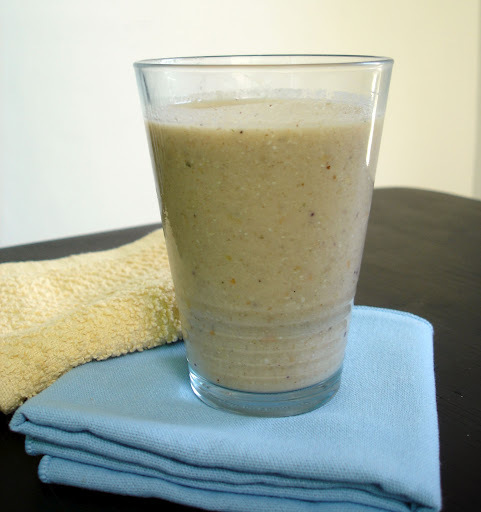 This morning, our fridge was pretty bare so I just made myself a banana-muesli smoothie. By the way, yesterday I weighed myself and I have lost 2.5 lbs. Yep, that’s 2.5 lbs. in 10 days! I’m just 1/3 through my No Meat 30 Day Challenge and I can already feel the difference. Woohoo!